TAMIYA 78016 MUSASHI JAPANESE BATTLE SHIP (1/350)! 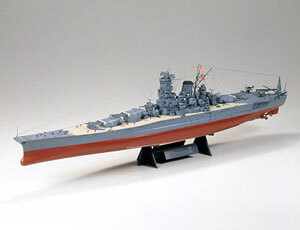 Tamiya’s precision-made assembly kit model recreates this giant battleship in exquisite detail, including her defensive anti-aircraft suite of numerous single 25mm cannons on the main deck. This different anti-aircraft armament makes for an interesting comparison with the Yamato.